For wine lovers, Santiago is one of the best destinations in South America. 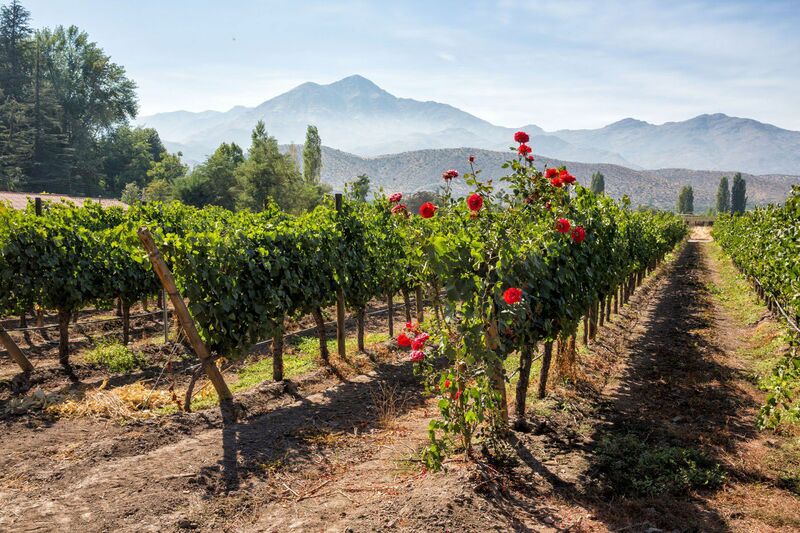 With a short drive you can reach some of Chile’s premiere wine regions, such as Maipo Valley, Colchagua Valley, Casablanca Valley, and Aconcagua Valley. Most people visit the wineries on a tour. 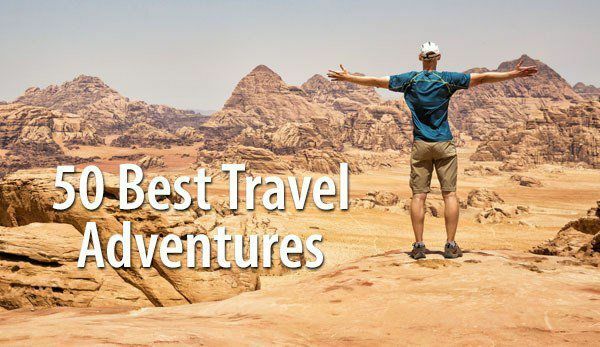 But what if you prefer to get out and explore on your own? 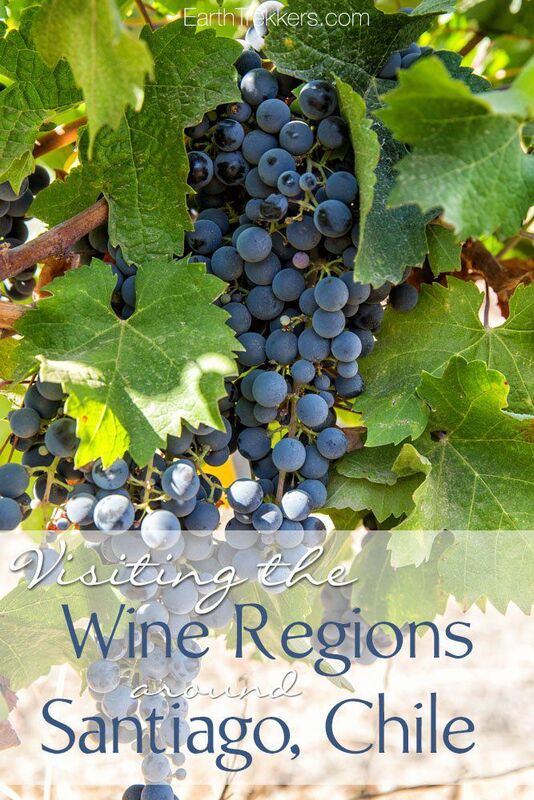 Touring the Santiago wine regions is a different experience than in countries like Australia, New Zealand, and South Africa. 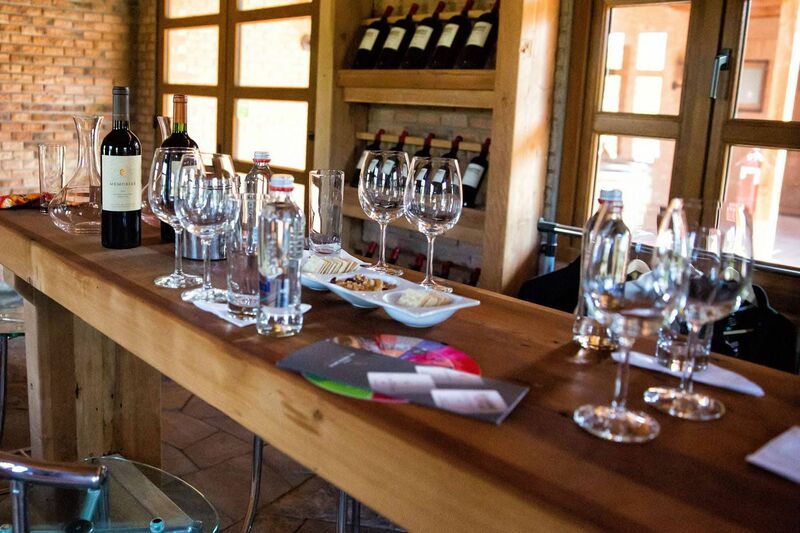 Wine tours and tastings usually need to be scheduled in advance. 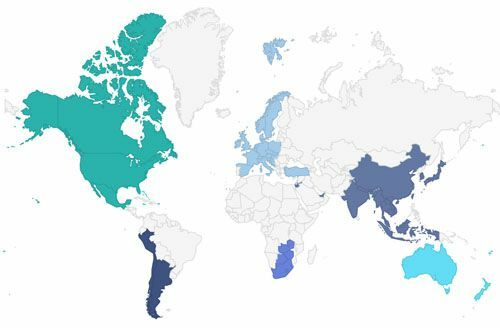 There is a fee for the tastings and the entire experience tends to last longer than in other countries. 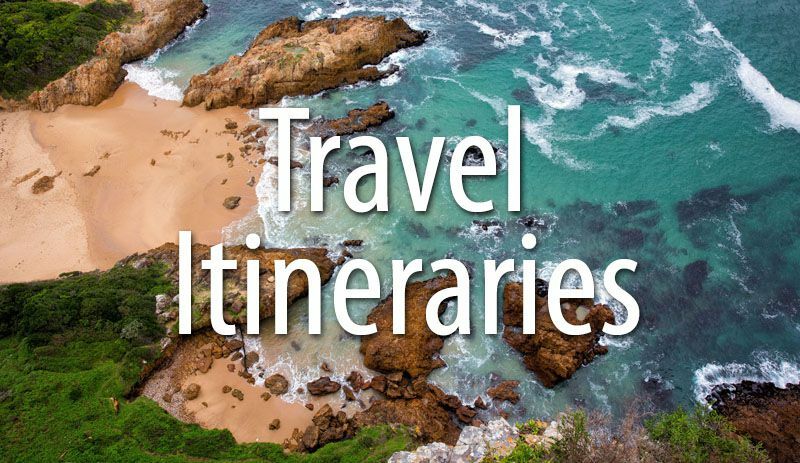 With a little advance preparation, you can set up your own custom made wine tour. 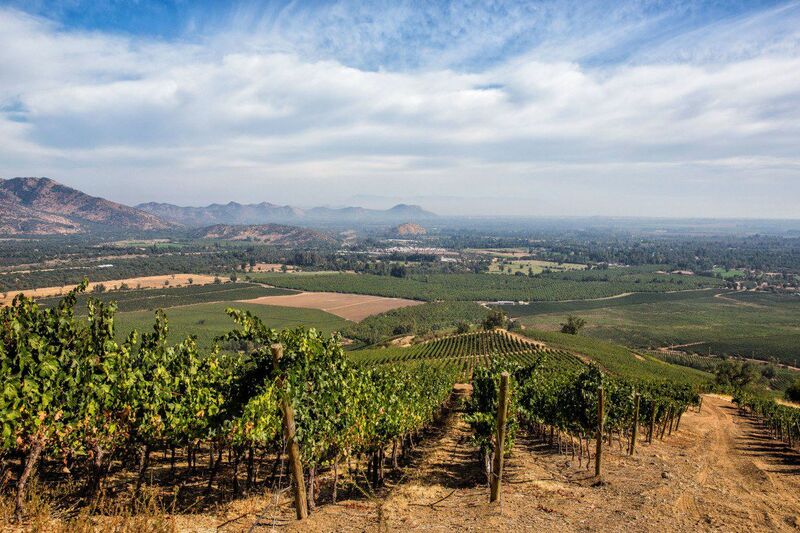 Maipo Valley is the most commonly visited and most well known wine region near Santiago. 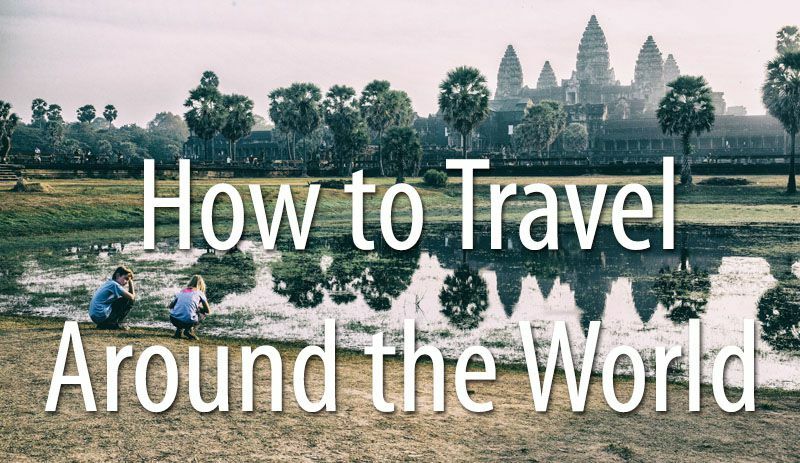 It is also the easiest to get to as it sits just to the south of Santiago. For those who are short on time, this is the best region to tour. There are many companies offering tours of the area but it is very easy to get out on your own and explore. 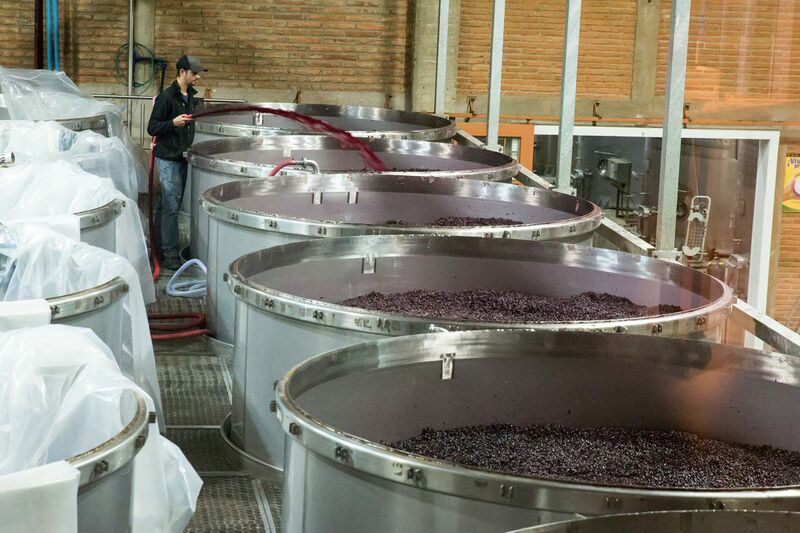 Maipo Valley hosts a collection of French inspired wineries. 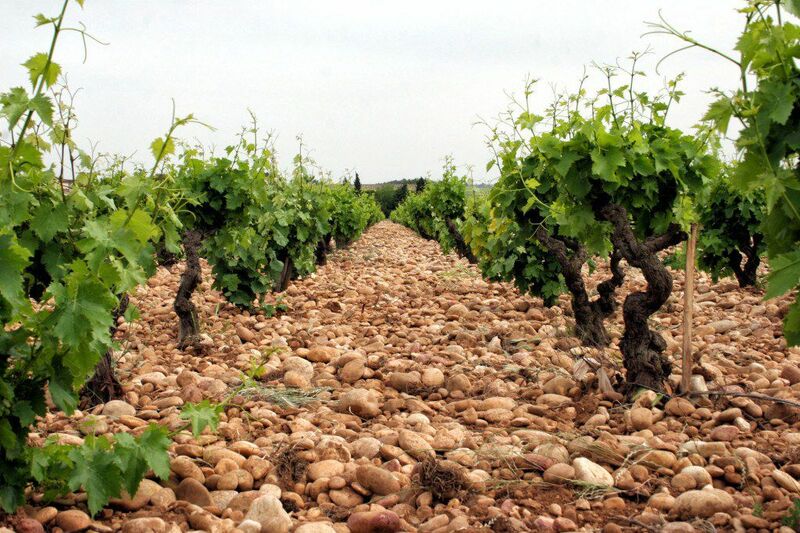 This area produces primarily Cabernet Sauvignon and the peak harvest season is in April. We were here at the end of March and full bunches of ripe grapes were dangling from the vines. We visited three wineries in Maipo Valley: Viña El Principal, Concha Y Toro, and Viña Santa Rita. This was our favorite winery in Chile. To visit this winery, a reservation is mandatory. 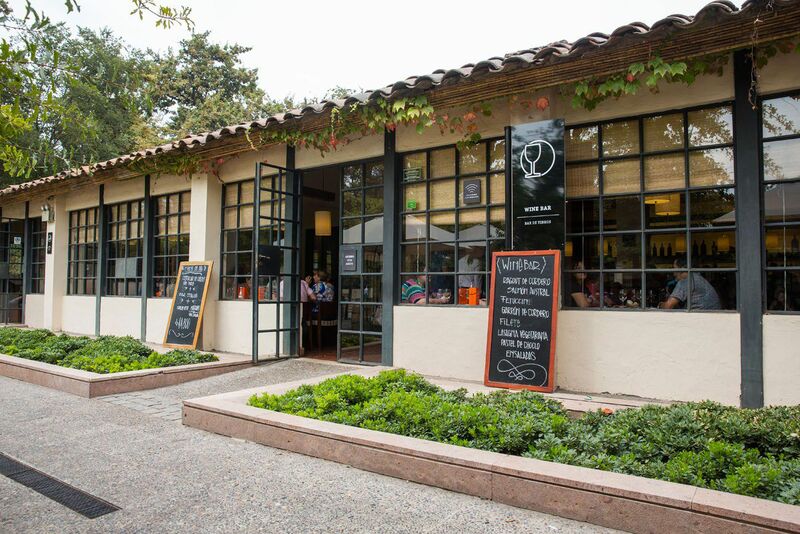 Viña El Principal is a boutique winery at the foothills of the Andes Mountains. 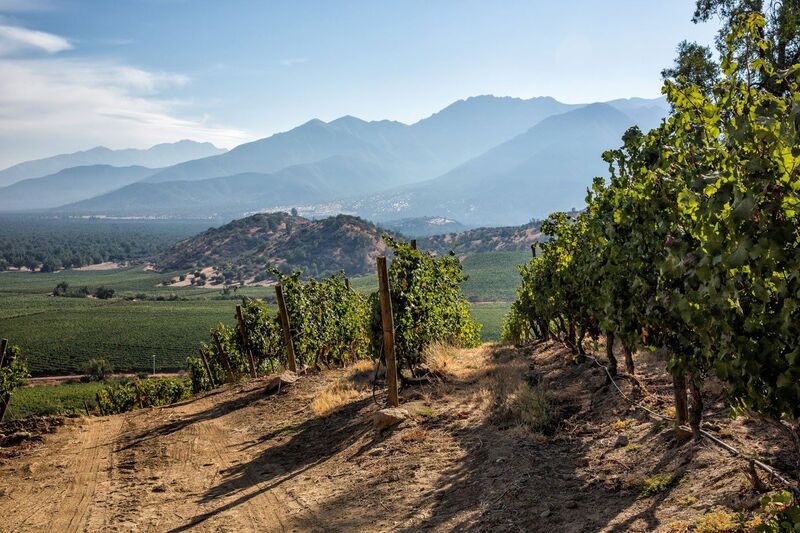 Viña El Principal is the winery at the highest elevation in Maipo Valley, giving them a slightly different taste from other wineries in the region. Viña El Principal is located one hour south of Santiago, 46 km from the city center. It is off-the-beaten-path from the other wineries in the region but it is so worth coming here! I set up our tour and wine tasting by email before arriving in Chile. We were greeted by Macarena, a very pleasant young woman who took us on a tour and tasting of the winery. Her English was excellent and she was very pleasant to be with. Our tour started with a drive up into the hills of the winery with awesome views of Maipo Valley. We learned the difference between Cabernet Sauvignon, Merlot, and Malbec plants, got to eat the ripe grapes right off of the vines, and had our best views of the day. At the winery, we took a tour of the cellar and wine making facility and then went to the tasting room. 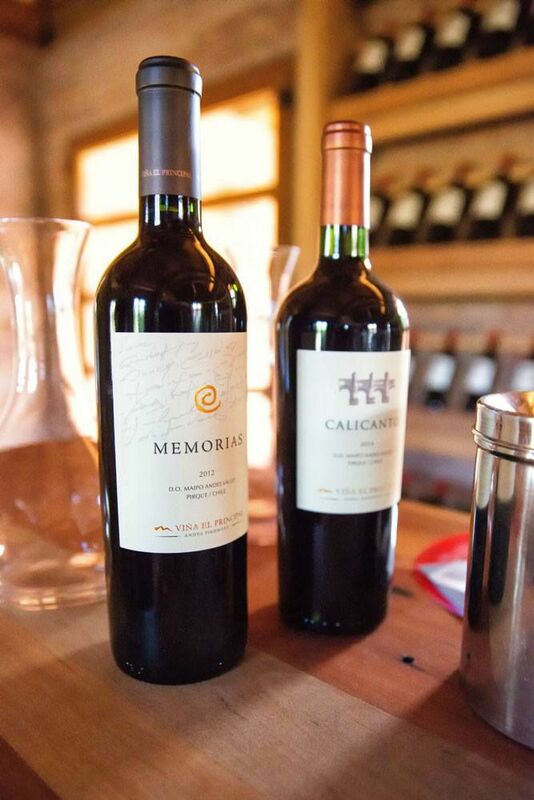 Tim and I tasted the Memorias and Calicanto wines and they were both delicious! Macarena gave us a refill on our favorite (Memorias) and we bought a bottle to bring home. 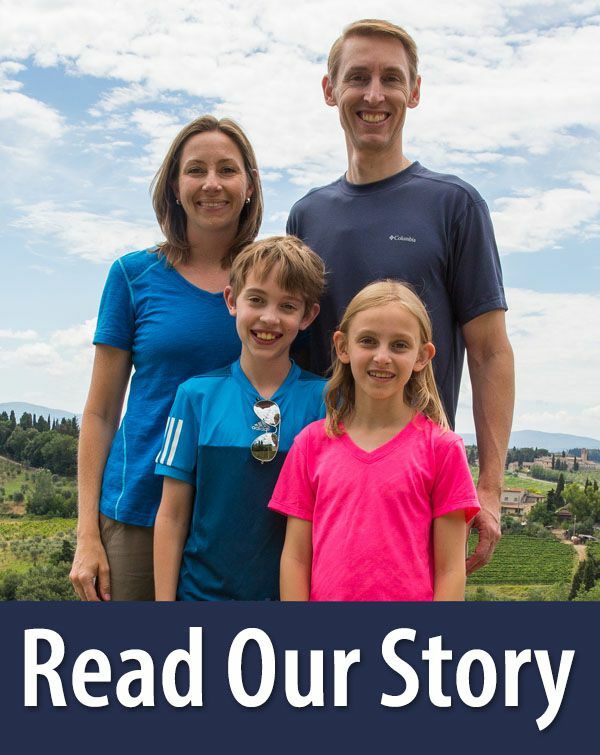 The entire tour and tasting took two hours and cost us $106 USD ($35 USD per adult and $18 USD per child in 2016), not including the wine we bought. 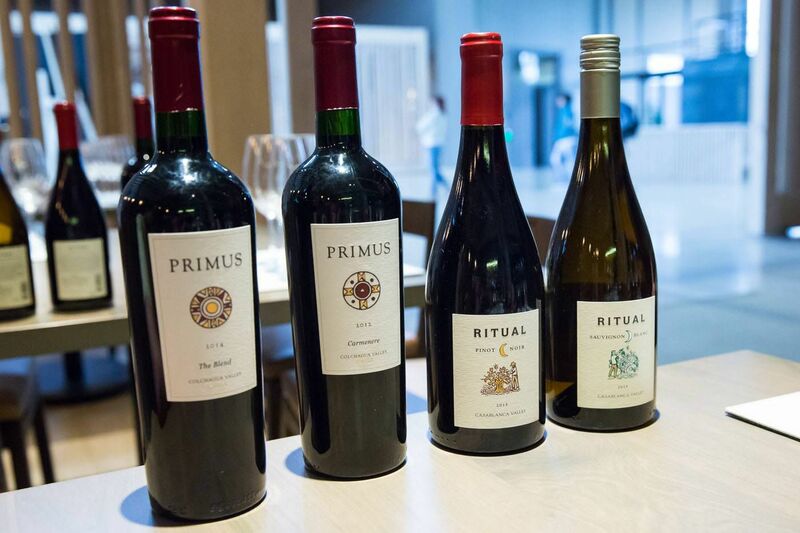 This would be our most expensive tasting in Chile and Argentina but it was also the most memorable. Viña El Principal is located in Pirque, Chile. To schedule a tasting or a tour and to get updated pricing, visit their website. Concha Y Toro is the largest producer of wines in Latin America. Coming here is a little bit like visiting Disney World. Park in the parking lot, buy your tour ticket from a booth in the parking lot, and wait for your appointed time. This is one of the few wineries in the area where you can show up without having a reservation. Concha Y Toro offers tours about every half an hour in Spanish, English, and Portuguese. Here is a photo of people on tour at Concha Y Toro. 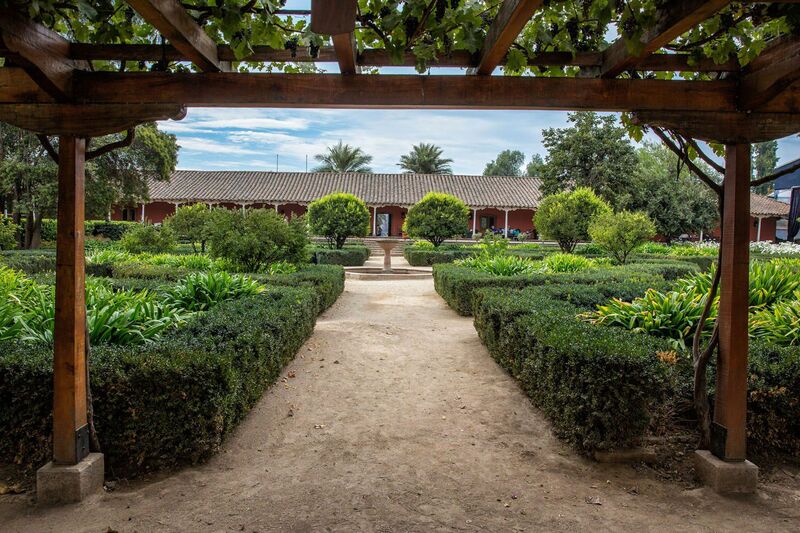 If you do not like the idea of being shuffled through the winery on a large tour, you can still visit Concha Y Toro. We ate lunch at the wine bar and sampled some wine during our meal. No reservation is necessary. Lunch at the wine bar is first come first served. To get more information on visiting Concha Y Toro, check out their website. This is another popular winery in Maipo Valley. Our email to Viña Santa Rita was not answered but we still showed up, hoping to do a tasting. We got lucky and were able to do a tasting without a reservation. The four of us grabbed comfy seats and looked out over the winery. Tim and I sampled three different red wines. It was a nice experience and I was glad to find another winery where a reservation was not absolutely necessary. 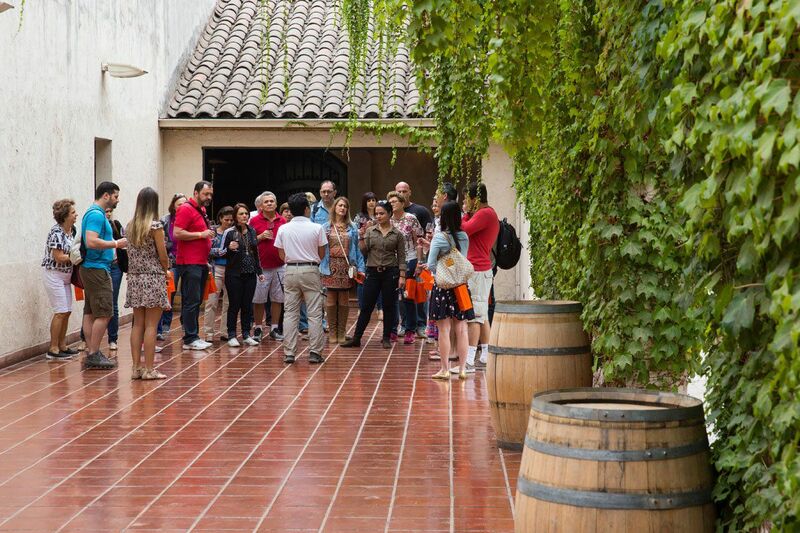 Santa Rita offers different types of wine tours and tastings. If you have eight people, you can take a tour on their pedal bar which looks like a lot of fun! Viña Santa Rita is located in Buin just 30 minutes south of Santiago. It is easy to access Viña Santa Rita by public transport if you do not have your own car. For information on how to get to Viña Santa Rita, click here. Here is a link to their website for more information. Our day ended at Viña Santa Rita (it was 4:30 pm by the time we were finished here) but I have heard great things about Viña Almaviva if you are interested in visiting another winery. Tours are by appointment only. Visit the Viña Almaviva website for contact information an scheduling. 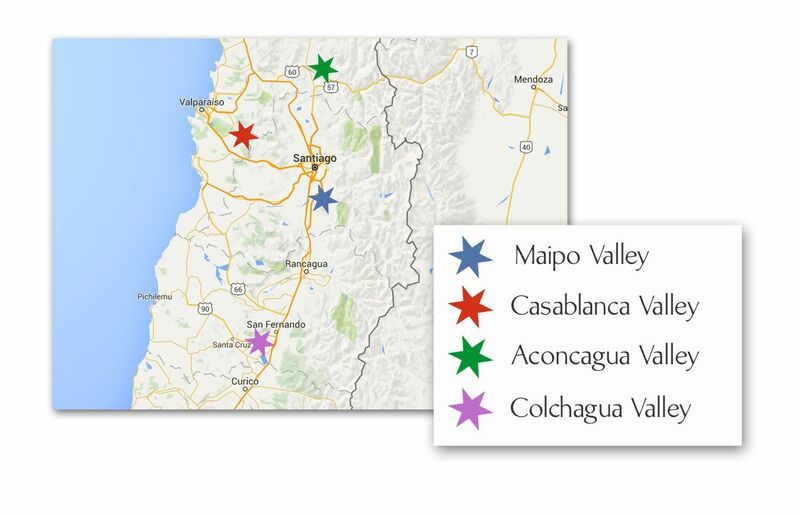 All four of these wineries in Maipo Valley are located fairly close together. The best way to get around is by having your own car. With Google Maps it is fairly easy to find your way from winery to winery. If you do not like the idea of driving on your own, you can hire a private driver to take you around. This eliminates the need for a designated driver so everyone in your traveling group can sample as much wine as desired. Casablanca Valley is one of the youngest Santiago wine regions, located between Santiago and Valparaiso. This area is known for producing Sauvignon Blanc and Chardonnay wines, being a cooler climate than most other Santiago wine regions. At the advice of our hotel in Santiago, we visited Veramonte on the drive from Santiago to Valparaiso. Is 9:30 am too early to drink wine? Apparently not! No reservation was necessary to do a wine tasting at Veramonte. Yes, we skipped the tour and went straight to the tasting since we had a day of sightseeing at Valparaiso and Viña del Mar scheduled. We were able to explore a little on our own. Tim and I were fascinated by the mixing of the wine in the vats. Check out the wine gushing out of the hose! Tim and I each tried four different wines, our favorite being the Ritual Sauvignon Blanc. Veramonte is located just off of Route 68 about halfway between Santiago and Valparaiso. If you are looking for a quick wine tasting while heading between these two cities, Veramonte is a very convenient choice! For more information on Veramonte, visit their website. Our hotel also recommended Indomita, which we did not visit since we wanted to make sure we had enough time in the day to visit Valparaiso. This winery is located almost directly across Route 68 from Veramonte. They offer different levels of wine tastings and tours. Check out their website here. This region, located an hour and a half north of Santiago, is home to some of Chile’s best wines. This area produces Cabernet Sauvignon, Carmenere, and Syrah. We visited this winery on our drive from Santiago to Mendoza. This drive takes you right through Aconcagua Valley. We were able to do a tasting without a reservation at this winery. It is gorgeous here with the Andes Mountains setting the backdrop for the winery. For more information, visit the San Esteban website. This winery is supposed to be phenomenal. I have read that it is one of the prettiest in Chile and produces some of the best wines. Unfortunately for us, they were closed on the day we drove through the area. 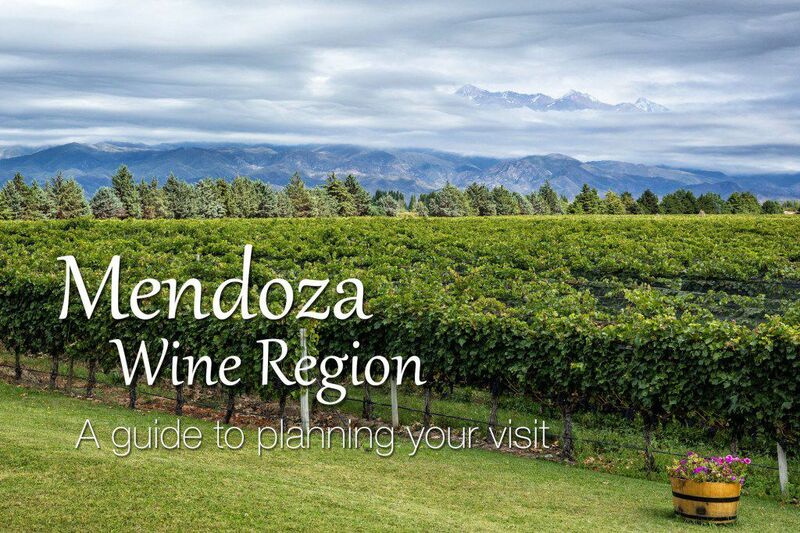 From what I have read, if you visit one winery in Aconcagua Valley, Errazuriz is the one to see. Colchagua Valley is located three hours south of Santiago. It can be visited as a day trip if you start your day early. This region produces Cabernet Sauvignon, Carmenere, Syrah, and Merlot. The wine from this region is supposed to be fantastic. This was a region we never visited but is highly recommended for wine lovers on vacation in Santiago. 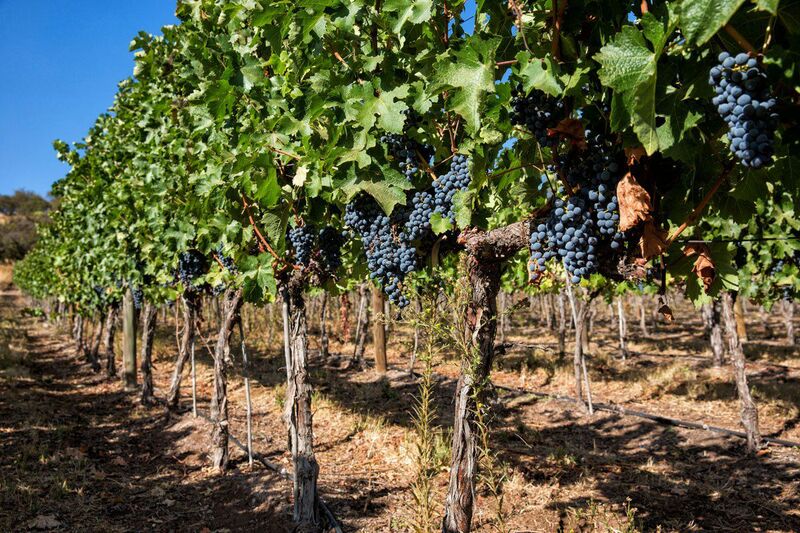 Here are three wineries that people rave about in Colchagua Valley. Casa Lapostelle has been described as the most beautiful winery in Chile. 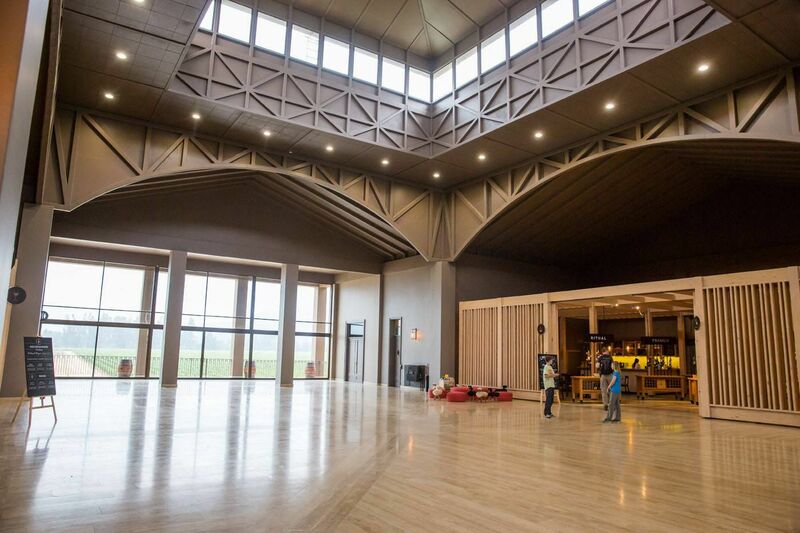 Looking at the online photos, this winery looks amazing. Visit their website here. Viña Montes is another popular winery in Colchagua Valley. They also produce wines in Napa Valley under the name Napa Angel and in Mendoza under the name Kaiken. Visit their website here. Viña Santa Cruz offers not only wine tours and tastings but also has a small astronomical observatory for viewing the stars and the moon. Llamas roam the property and a cable car transports visitors to the hilltop over the winery. Click here to visit their website. The Visit Colchagua Valley website has a lot of great information about how to visit this wine region, where to stay, how to get here, and facts about all of the wineries in the region. If you are planning a visit to Colchagua Valley this website is an excellent resource. In general, the smaller wineries require visitors to schedule the tour or tasting in advance. The larger, more popular wineries are better equipped to do wine tastings without a prior reservation. 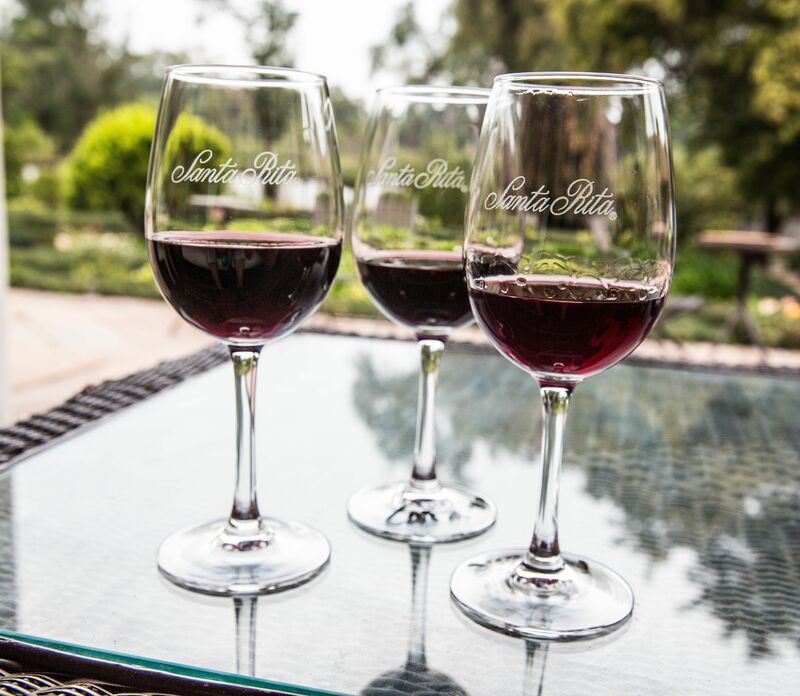 The easiest way to schedule your wine tour or tasting is to contact the winery by email. Unfortunately, some wineries are not very responsive to emails. Pick more than the number you want to visit, email all of them, and visit the ones who you hear back from. If emailing the wineries is not working for you, you could have your hotel contact the wineries by telephone to schedule your tours. Visiting the wineries with kids. Yes, it can be done. 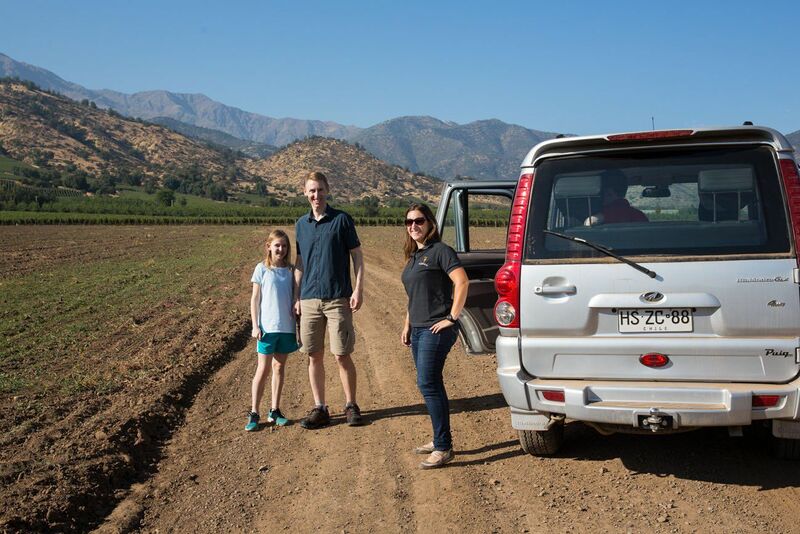 Tyler and Kara enjoyed the tour at El Principal since we got to ride up dirt roads in a 4×4 vehicle, taste the grapes right off the vines, and visit the cool, quiet wine cellar. It helps to schedule tours where your kids may also get something out of it. 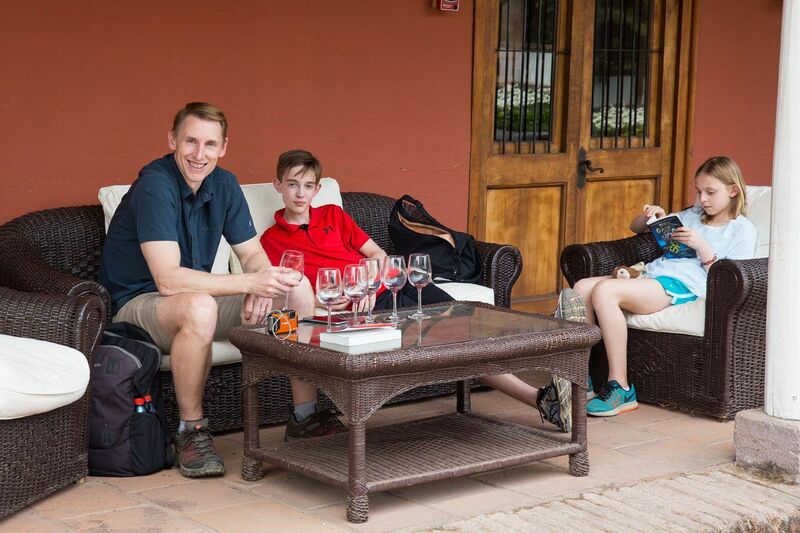 Bring along things for your kids to do to keep them happy while you are tasting the wines. 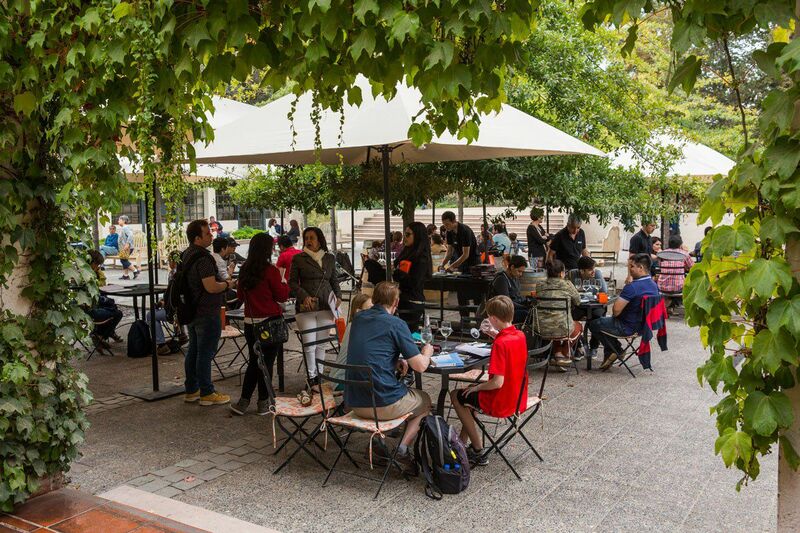 Don’t schedule too many tastings in one day and break up the tours by having a nice lunch somewhere. 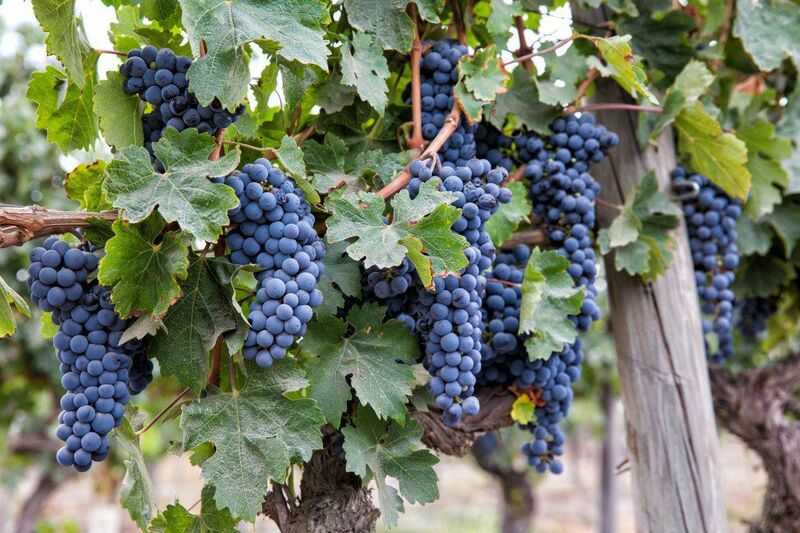 Best time to visit the Santiago wine regions. The harvest season begins at the end of March and lasts until May. April is prime harvest season and some wineries will offer special harvest tours during this time. In April, it is autumn so the days are cooler and the leaves on the trees are changing colors, a beautiful time to visit Chile. We stayed in Santiago at Hostel Rio Amazonas. This hostel is wonderful. Take your pick from a single room, rooms with two twin beds, and rooms that accommodate three and four people, perfect for families or groups. Rio Amazonas is located in central Santiago, within walking distance of restaurants and many of the most popular sites in Santiago. If you are traveling on a budget, take a look at this property. 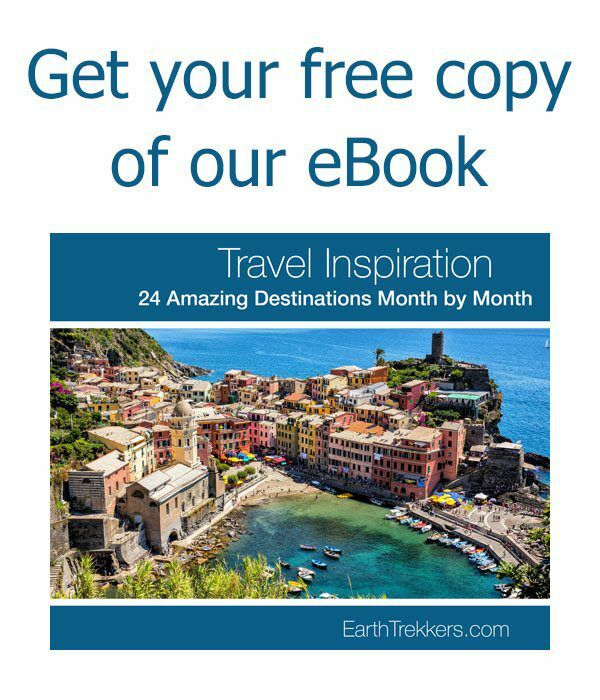 Planning a trip to Chile? 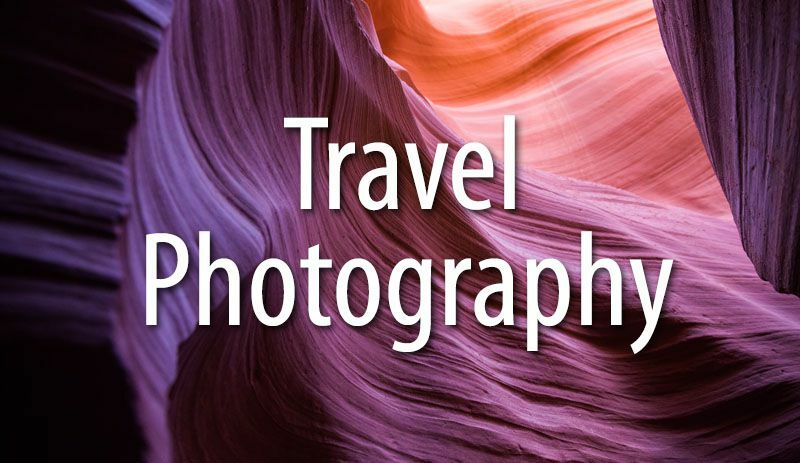 Read all of our articles in our Chile Destination Guide. Chile: Driving from Santiago to Mendoza. Should You Do It? Hi! We’re planning to visit Chile’s wine regions in late February. 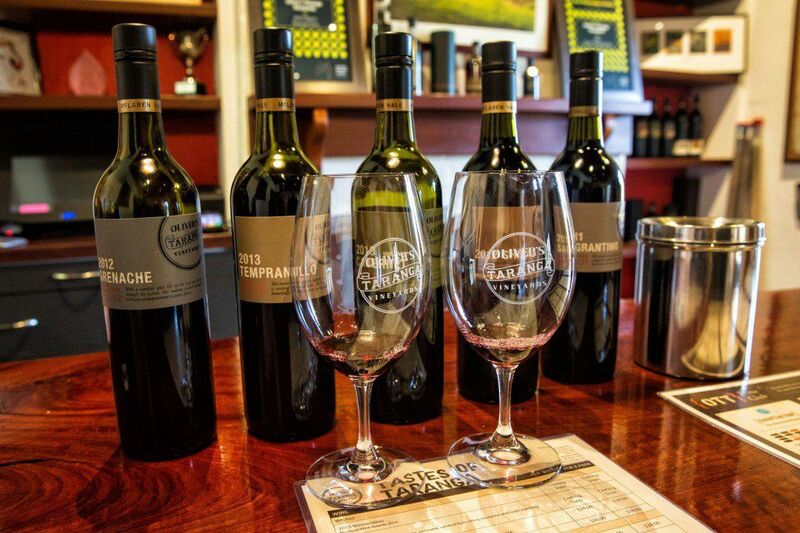 I had a question, when you visited the wineries that required a reservation, was there usually an option to just order a tasting without the tour or guide, just straight to the vino? Great post!!! I went to Concha y Toro last January, and was looking for other vineyards to visit on a future trip.. Will keep this info for when that time arrives.